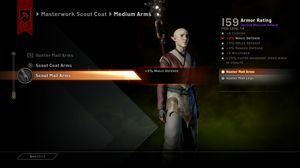 BioWare has released a new trailer that explores crafting and customisation in Dragon Age: Inquisition. 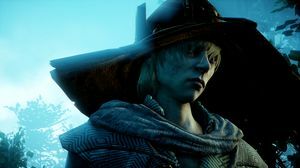 In a roundtable interview alongside our friends at AusGamers, we put a handful of questions about the systems to BioWare's Cameron Lee. 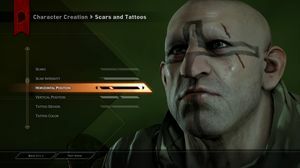 Q: Gameplanet: There are a lot of good, serviceable ideas here that players will be happy with, but what do you think distinguishes crafting and customisation in Dragon Age: Inquisition from other RPGs? Cameron Lee: You're hitting me with the tough ones straight away! 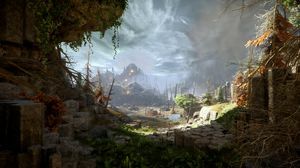 For me, as a player, and I know you can do bits and pieces of all these things in other games, but, I think for me it comes down to the holistic view of having a fantasy that I want to fulfil in an RPG. And that means making the character that I want to make. Making it look the way I want it to look, the class that I want, the specialisation I want, the story that I want - because obviously there are so many decisions that I can have throughout the game - and then crafting and customisation is just another layer on top of that. So I can make my character look the way I want in terms of their equipment [as well], and that then matches into my playstyle. So all these things that we've put into the game, so many of them are about allowing the player to play the way they want. And I think that distinguishes it from other RPGs. When you layer on all the other types of experiences, like story and decisions that you have throughout the game. So yeah there was crafting in Skyrim, but this is a BioWare story as well, and there are decisions that impact that custom story that you're creating, that custom fantasy that you're fulfilling. I think it's all those layers that make it a unique whole, I think. Q: AusGamers: There was a line in the trailer that stood out to me: 'hundreds of weapons and armour'. That indicates to me a dearth of weapons and armour. We're used to seeing huge numbers of equippable items in games. The wording is quite vague - am I interpreting that wrong? 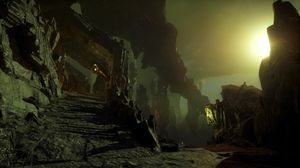 How deep is the itemisation going to be in Dragon Age: Inquisition? Lee: That's a hard one to answer, because it depends on the interpretation that people have - what's important to them - and that sort of colours their expectations. There are hundreds of weapon shapes. On top of that there are the countless options you have in terms of stats and the effects of those weapons. The combinations all those things and so on. So then if the player is thinking about that [in terms of numbers of weapons] well then there's bucketloads, there's far more than hundreds. For us when we looked at the crafting system we knew that we wanted players to have flexibility in their playstyle, with their min-maxing and all that sort of stuff. So that meant that we wanted to allow players to really craft exactly what they want. So by using schematics which are kind of like recipes - except recipes imply you must have specific things, five iron ore and five obsidian, like that - schematics are different in that they provide a shape of the item and then within that schematic there are a number of slots. There's a primary slot, an offensive slot, a defensive slot, utility slot and also a masterwork slot. Each of those slots depend on different types of schematics which depend on different numbers of materials which go into each of those slots. So if I insert iron versus silver into one of those slots, I'll get different effects. So then you can start moving that iron from an offensive slot which might give you Strength on the weapon, and you might move it to a utility slot which then gives you Constitution, so it'll boost your hit points so there's so much flexibility in the schematic based system that it's really up to the players to sort of define what sort of combinations they want to make. And I think that's really sort of where the massive amounts of variation comes from. And then there's obviously the loot that monsters drop, there's still hundreds of items that drop as well. Q: Gameplanet: You touched on it very briefly just then, but could we talk a little more about masterwork materials: what they are, where players might find them, and how they work? Lee: Yeah, so masterwork materials are really rare. So stuff like heartwood or dragon's teeth - things that player's really have to go and find and chase down, and overcome challenges to obtain. And they're limited in the game, the number of them is limited. So then you need to think about how you're going to use those masterwork items effectively and then the sort of more advanced schematics have those masterwork slots. So I could craft an item that has a masterwork slot without putting something in there, that's fine, but if I do put a masterwork item into that slot, that special slot, that item can really go above and beyond what it could have been without having that material inserted. So we've certainly found from our own testing that the most effective weapons that you can have in the game are via the crafting system because of those masterwork slots. What that means to us is that you're making a massive awesome Legendary item, one that you've crafted yourself. And you're going to be making that item with stats that benefit your particular playstyle. As opposed to other Legendary items, it's sort of like, "Well it's got really good stats for a rogue, but it doesn't full-on double down on crit damage or crit chance", instead it has some evade mechanic you don't focus on. Q: AusGamers: Do you get to name the Legendary items that you create? Lee: You can name every single item in the game that you make. It's really cool. Q: AusGamers: I noticed you can make bee grenades. Can you make any other crazy grenades or items? 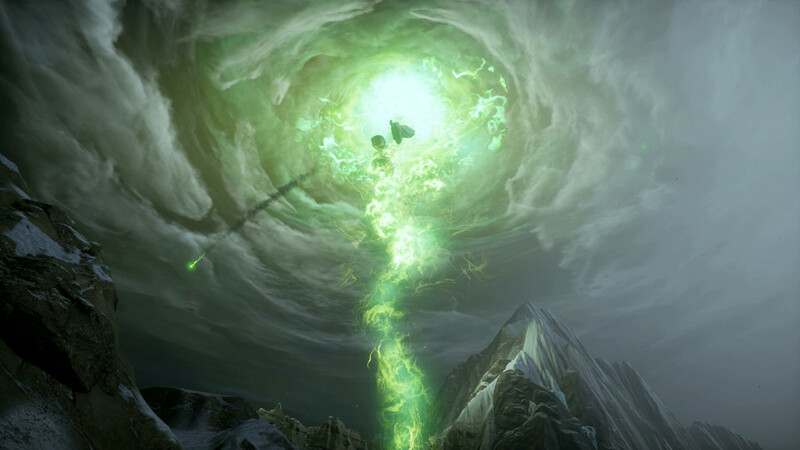 Lee: There are a bunch of different grenades, ones that are kind of like gas fogs, grenades that slow people down, there are some that will revive party members, a sort of area of effect revive, with a healing cloud. There are quite a few of them in there. There are tonics as well. With the crafting system not only do you make a full weapon or full suit of armour, you can make -- or find, you know, loot them off corpses or from chests -- you can also upgrade those items. So if I make a full sword, it will have slots for the blade and the hilt, just the default blade and the default hilt. 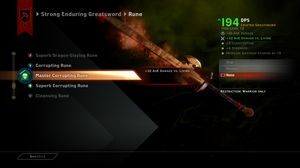 If I want to I can find or craft a new blade or a new hilt separately and then insert that into my original sword, which again modifies the look and stats of the weapon. 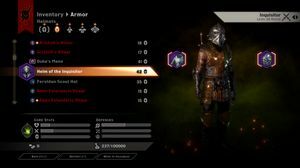 For armour, a lot of people looked at our inventory screen and went, "Wow there's only one slot for armour and one slot for helmets, where's my gloves and my legs?" And they're actually incorporated into the armour. So you can find and craft different arms and different legs and insert them into the suit of armour to change its look and improve its stats again. There's a lot of layers, and I think that level of modification using those upgrades is a great way for people who don't want to invest a lot of time or energy into the crafting system - it still lets them come into it a little bit, because they might find a really cool hilt and think "you know what, I'm just going to quickly insert that because it's got really cool stats". Q: Gameplanet: Players are able to reset abilities, but is there a penalty for doing that? Or do you envision a game where players are going to rejig their skills going into every major encounter? Lee: When you say rejig, you mean changing the skills they take into combat, not necessarily doing a full respec? Because both options are certainly available in the game, I would imagine though that most people, most of the time are going to - and generally a lot of people just do this anyway - have just one set of skills they've bought in the talent trees and they've put them onto their hotbars or their controller map and they're generally done there. But other people, particularly those who are playing on higher difficulties or coming up against a tough encounter, they may want to drag in some of the other abilities they've bought that will be more effective for that particular encounter. For example, that would be like if there's one big giant that I'm attacking I'm going to want a lot of single target damage, a lot of defensive abilities, whereas if I was coming up against a swarm of enemies I'll want AOE dragged onto my hotbar. Full respeccing, where you basically wipe the slate clean and start again, it's possible, you just need to buy the item in the game with gold. That will wipe your talents clean for you go back and respec. But it won't respec your speciality selection, say you're a warrior and you chose like a Reaver vs a Templar speciality, it won't respec that choice because that choice is part of the story, but it will respec the talents you bought within that specialisation. Q: AusGamers: Are you very easily able to keep the same weapons and armour if you choose to respec? Lee: Yeah, I think that's one of the beautiful things about the game, about the crafting system and the customisation, that if you had decided to respec from a two handed warrior that was mostly damage orientated warrior, and you decided to try being a warrior that uses a sword and shield, to stay more defensive, whilst you wouldn't want to keep using the same weapon, because you're going from a two-handed weapon to a one-handed weapon, but you could definitely easily modify the same armour you're wearing. So you can put in different arms and legs, and then enchant it with a new rune to be defensive oriented rather than offensive. Another cool thing is that the schematics you find you can use as many times as you want. 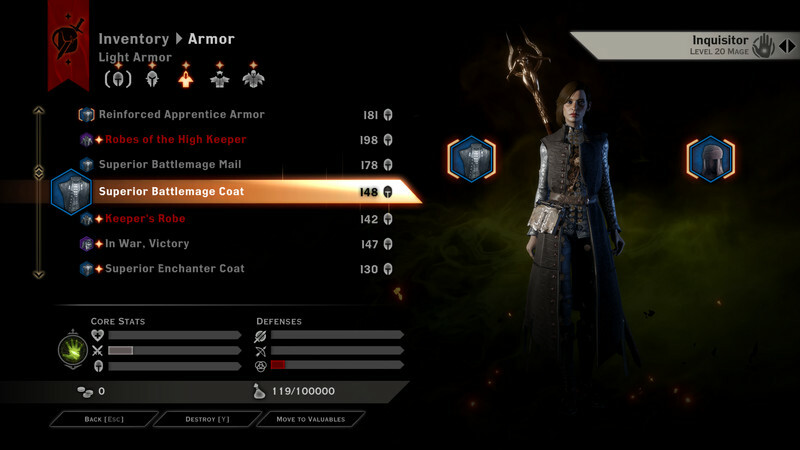 So if you've found a really cool shape of armour that you just really identify with, you can craft another suit of armour with different materials and different slots and really build it up to be defensive -- that's certainly another option as well.